Pacific City, Oregon (June 14, 2017)—Hear ye, hear ye: The Queen is ready for her subjects. Pelican Brewing Company this week releases its much-anticipated gin barrel-aged Saison-style ale, Queen of Hearts. Her eminence will be available this weekend on draught and in 50 liter kegs, 1/6 barrels and 22 oz. bottles. Pelican celebrates this unique blend with a release party at all its breweries this weekend. 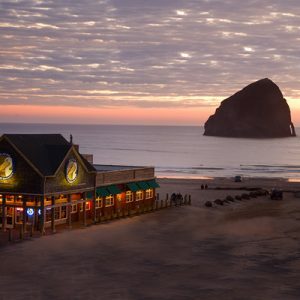 Restless Pelican fanatics can pre-order Queen now for pick up at any Pelican brewery location (Tillamook, Pacific City and Cannon Beach) starting this Saturday, June 17.